Posted on April 01, 2013 at 10:00:23 am by Michelle M.
This post is part of a series highlighting the Your Story. Made Here. 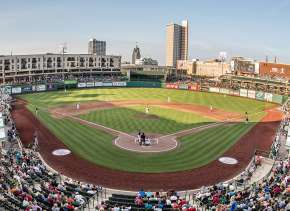 videos recently produced by the Northeast Indiana Regional Partnership. These videos share the stories of Northeast Indiana, and our many strengths. Click here to view the rest of the series. My mom loves giraffes. 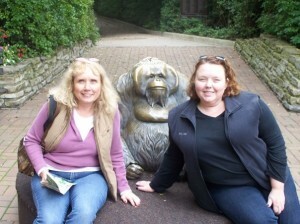 You can entertain my mom by taking her to any zoo around the country, and she’s been to several. She’s a little bit of a zoo expert, so when she comes to visit we always take a trip to the Fort Wayne Children’s Zoo. What does she love about our zoo and why is it a must see when she visits? “I have to go feed my giraffes,” was her answer. Feeding the giraffes is a fan favorite at our zoo. You can literally feed them right from your hand. It’s an experience she’s not had at any other zoos. 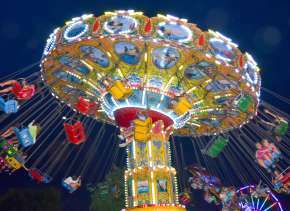 She also loves the variety, the walkability of the zoo, the cleanliness, and how well maintained the zoo is. 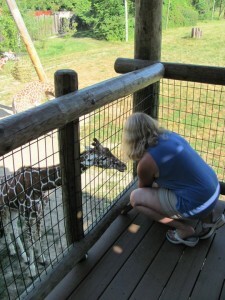 Susie Wayne stops by the Fort Wayne Children&apos;s Zoo to feed the giraffes every time she visits Fort Wayne. When the zoo opened in 1965 it was one of the few self-supporting zoos, earning all of its revenue from admissions, rides, and concessions. In 1966, the Fort Wayne Zoological Society was established as a nonprofit organization to assist in the development and growth of the zoo. The zoo credits strong community support for being an integral to their success and ability to grow into the world-class zoological facility they are today. 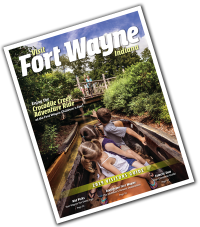 The Children’s Zoo is credited for bringing a large amount of national attention to Fort Wayne. 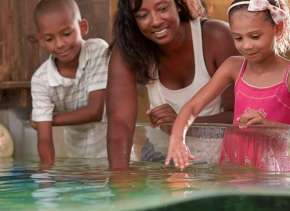 It’s 2009 grand opening of the African Journey exhibit prompted Parents magazine to name it “One of the Top 10 Zoos for Kids.” The zoo has also been recognized in the national media thanks to The New York Times, Child Magazine, and ABC’s Good Morning America. The zoo is really for kids of all ages. Whether you&apos;re 6 or 60, you’ll enjoy the zoo. As you heard in the video, the zoo is for more than just families with small children. People of all ages go to the zoo to enjoy the outdoors, get up close with the animals, and learn a little something along the way. Singles, couples, and families alike enjoy this treasure. In fact, my parents met my then boyfriend (now husband) for the first time during one of our family zoo outings. A fun outing at the zoo seemed like the perfect way to keep conversation going and keep him from feeling like he was being interrogated by my parents. It worked and we had a great day! While he didn’t propose at the zoo, like so many have, it holds a special place in our hearts. While feeding the giraffes is a family favorite of ours there are many other highlights you’ll want to check out while you’re there. The Walkabout Aviary, the California Sea Lions, and the world class African Journey are some local favorites. There are some traditional pics you’ll want to snap while your there too such as sitting on top of the zoo sign at the entrance, as a passenger on the train, drinking from the lion’s mouth water fountain, riding on the sky safari, and sitting with orangutan statue. The zoo will open for the season on April 20, 2013 with a $13.50 admission fee for adults, $8.50 for children ages 2-14, and $10.50 for seniors. You might also want to consider becoming a zoo member. Your membership will not only be a great value to you as a frequent visitor but will allow you admission to more than 140 zoos throughout North America. Tags: Fort Wayne Children&apos;s Zoo, zoo, Videos, Northern Indiana, Northeast Indiana, Your Story. Made Here.